It seems every day we encounter a “crisis” or difficult issue of some sort that affects our work. Such difficulties can come from within work (e.g. a difficult client o boss, missing a target or deadline, rejection of a proposal or plan, feeling undervalued) or outside of it (e.g. personal issues such as family, relationships, debt, alcohol). All have the potential to trigger stress, anxiety…and lead to crisis mode. 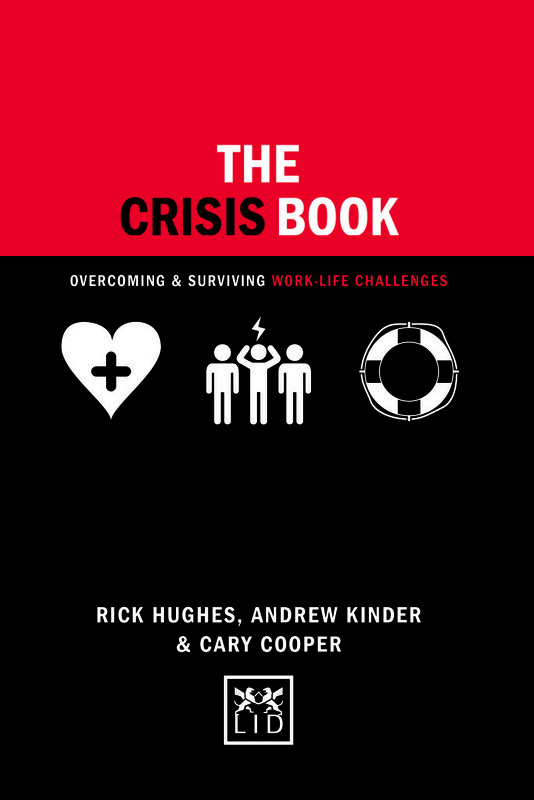 This practical book offers strategies and guidance to coping with and surviving a range of crisis moment and issues that affect our ability to perform at work. Written by expert coaches, the book helps anyone to develop a series of competencies in order to help us manage crisis points and improve our personal resilience. Concise tips, advice, and techniques which anyone can implement in their daily work lives. Written by experienced therapists – and stylishly presented and easy to understand and apply. Everybody encounters regularly difficult issues of some kind that affects their work performance.